Partitioning schemes can be confusing when installing Linux. I must admit i am very lazy when it comes to setting up a disk correctly. I have been spoiled with Fedora and Debian with their automatic partitioning systems, These are a couple of examples in partitioning a disk. What is a Swap Partition and why would I use it? 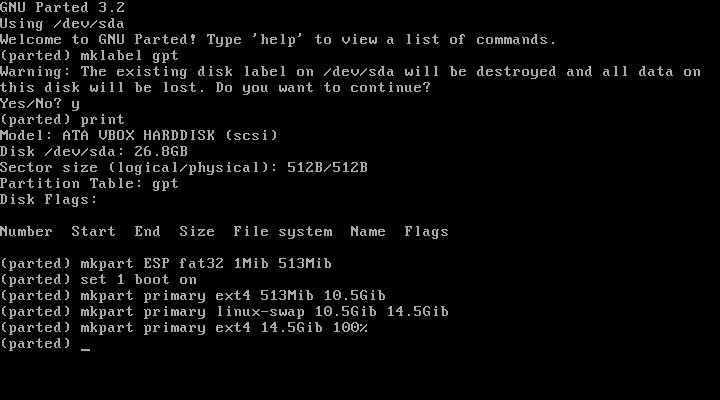 Swap space in Linux is used when the amount of physical memory (RAM) is full. If the system needs more memory resources and the RAM is full, inactive pages in memory are moved to the swap space. While swap space can help machines with a small amount of RAM, it should not be considered a replacement for more RAM. 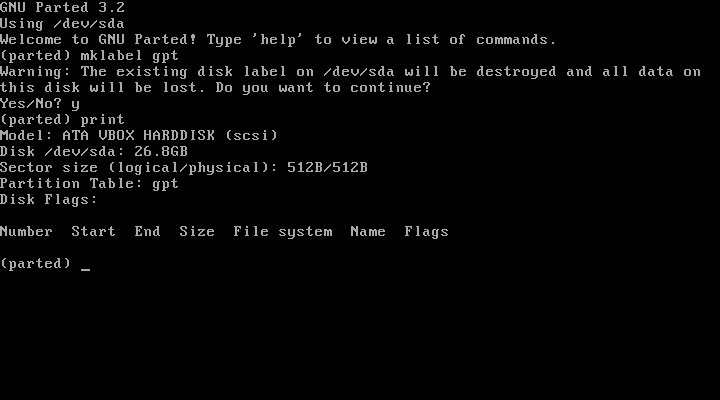 In this example I am going to show you how to partition a disk with Parted. Parted is quick and easy utility with great support for GPT partitions as well as MBR. 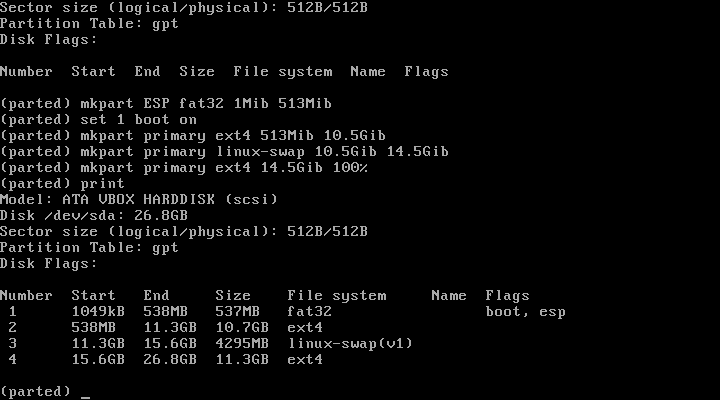 NOTE: I am using a VirtualBox with a 25GB partition. These examples should work fine for you. 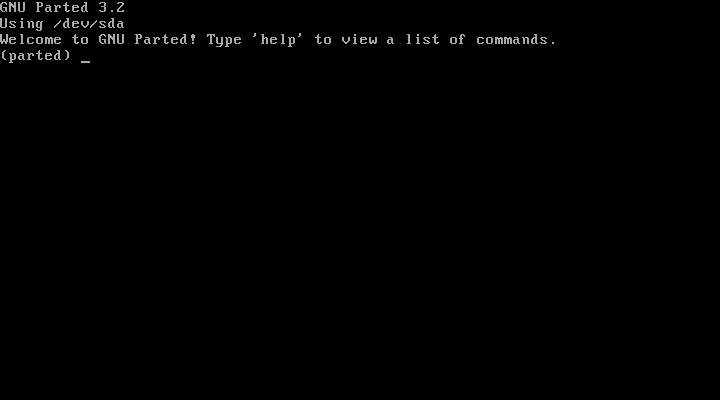 Now type print, This will display your partitions.